For the second time in three years, the man who led the E3 briefing for the Xbox 360 has left Microsoft to take a job at Electronic Arts. Microsoft's John Schappert will once again become EA's John Schappert when the founder of EA's football giant Tiburon returns to the company as its Chief Operation Officer next month. Microsoft indicated to Kotaku that Schappert will not be replaced. 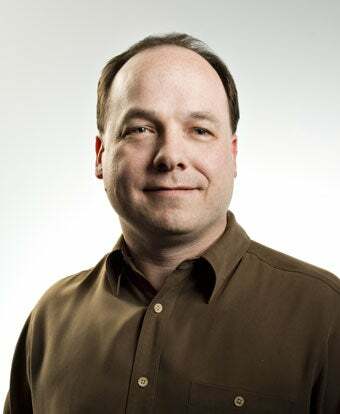 Schappert has spent the last two years in the upper ranks of Microsoft's Xbox 360 team where he has been serving as corporate vice president of Xbox Live software and services. He received his most prominent role yet from Microsoft earlier this month as he took the stage as the host of the company's Xbox 360 media briefing. As COO, Schappert will effectively be the number two at EA under CEO John Riccitiello. An EA press release announcing the move, defined Schappert's role. He will be "responsible for worldwide publishing, the Online Platform Group, EA Interactive, Central Development Services and other divisions of the company." "After nearly two decades working in or around this company, I've got EA in my blood," Schappert said in EA's press release. "This is a team that is intensely focused on quality and innovation. I'm looking forward to rejoining EA as chief operating officer and helping grow the business on new platforms and in new markets." Schappert's new boss, John Riccitiello, celebrated his hire. "We are thrilled to welcome John Schappert back to EA," he said in EA's release. "He has a great track record as a leader and innovator in our industry. His years of experience with EA and in Microsoft's Xbox business, provide him great insight into recognizing what consumers want." In a company statement issued to Kotaku, Microsoft wished Schappert well: "John has been part of the executive team that in the last two years has strengthened our game studios and LIVE services teams integrating our content and Xbox LIVE services strategy, and successfully launched the New Xbox Experience. We wish John the best of luck." When asked via e-mail who would replace Schappert, a Microsoft representative indicated that the company's gaming group would proceed with its existing team: "At this time, Marc Whitten and Phil Spencer will lead their respective businesses, Live Services and Microsoft Game Studios, reporting directly to Don Mattrick. Microsoft has complete confidence in the leadership of Marc and Phil and that their teams will remain focused and on track as we ramp up for this holiday." Schappert founded Tiburon in 1994 before selling the studio to EA and ascending the executive ranks at the company. He reached COO of of worldwide studios and executive v.p. of EA's Online Platform and Central Development Services Group before departing for Microsoft in 2007, where he would oversee the expansion of Xbox Live and the introduction of the New Xbox Experience. Schappert is the second major Xbox figure to leave Microsoft for EA in a little over two years, though the flow of top men between the companies appears to flow both ways. Shortly after E3 2007, Microsoft's then-corporate-v.p. of Microsoft's Xbox 360 and Games for Windows group, Peter Moore, departed the company to helm EA Sports. Moore had keynoted Microsoft's E3 briefing that year. He was replaced with former EA head of worldwide studios Don Mattrick. NOTE: The original version of this story stated that Schappert would not be immediately replaced by Microsoft. A Microsoft rep has clarified that Schappert will not be replaced. The team is articulated above is the team for Microsoft gaming going forward.